The host nation defeated an IBSA world select team, made up of players from Europe, South America, Oceania and Africa. Around 1,000 people were in attendance at the Saiden Chemical Arena in Saitama, located just outside of Tokyo, to watch the match. It followed the conclusion of a two-day training camp for women's players at the Nihon University 100th Anniversary Hall in the Japanese capital. Players from nine countries - hosts Japan plus Argentina, Australia, Austria, the United Kingdom, Germany, Nigeria, Sweden and Zimbabwe - took part in the camp. Coaches worked on technical and tactical skills during the training sessions. 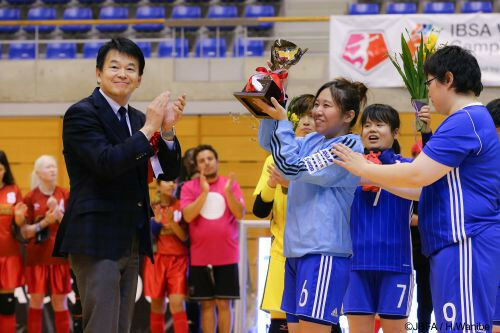 It was the second international blind football training camp and competition held for women and IBSA claim it marked the latest step in the development of the women's game. The blind football tournaments at the Paralympic Games are solely for men. 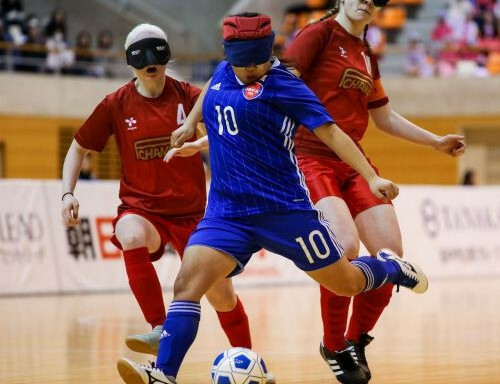 "As women's blind football is now firmly established in several countries worldwide, the IBSA Football Committee is now working on plans to continue developing the women’s game, with the possibility of the first official tournaments taking place as early as next year," IBSA said.